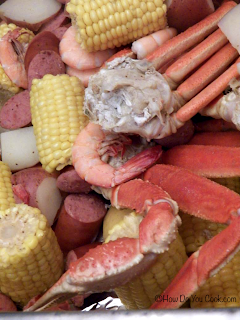 Low-Country Boil? Frogmore Stew? Beaufort Stew? Shrimp Boil? The name given to this delicious meal will likely depend on your region, as each area of the country has its own name for this combination meal of seafood, potatoes, corn on the cob and kielbasa. 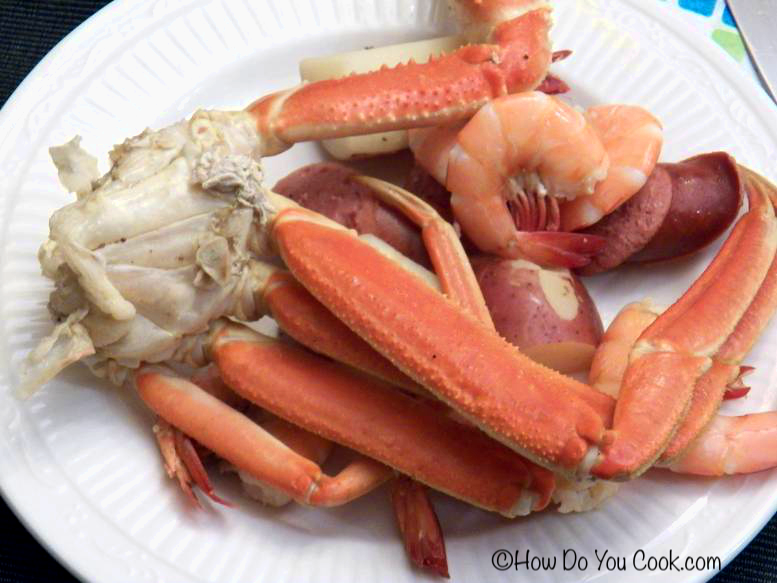 Regardless of the name you are most familiar with, this hearty meal is a family favorite, and nothing tastes more like summer than a huge pot of boiling seafood. As a bonus, since this is a fairly messy meal, the kids seem to love it even more. The main ingredients are adjustable according to your personal preferences. Add a little more shrimp or a little less crab or kielbasa, just add each ingredient to the pot in the same order, so all of the foods are cooked through, and finish cooking at the same time. This recipe serves 10-12 adults. Serve with lemon wedges, lots of napkins and a big bowl in the middle of the table so everyone can discard the empty shells. Enjoy!! Heat a very large pot of water using an outdoor turkey pot, or over medium-high heat indoors. Add Old Bay and Tabasco to the pot, then squeeze the lemon juice into the pot and then place the whole lemon in the pot and bring to a boil. Add potatoes and sausage, cook for about 10 minutes. Add the corn and crab; cook for another 5 minutes, then add the shrimp when everything else is almost done, and cook for another 3 - 5 minutes. Drain off the water and pour the contants into large servings bowls. 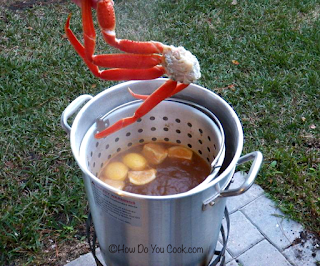 Be sure to have 2 -3 large empty bowls on the table to discard crab and shrimp shells. Serve with ice cold beer and lots of napkins.